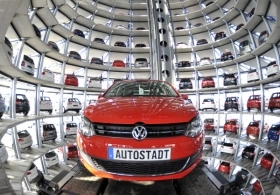 VW is making aggressive efforts to boost sales in global markets from the U.S to China. Volkswagen AG made an "intelligent move" to reduce complexity in its sales and marketing operations as part of its bid to pass Toyota Motor Corp. as the global No. 1 automaker, analysts and industry insiders say. VW is strengthening coordination between the group's national sales companies and its wide array of brands with the recruitment of former top General Motors Co. sales executive Jonathan Browning and the promotion of ex-Fiat marketing star Luca De Meo. Better coordination of sales and marketing for the German automaker's 10 brands, which include the upscale Audi, Bentley and Porsche marques as well as the mass-market VW, Skoda and Seat brands, is crucial to help VW group achieve its goal of becoming the world's largest automaker by 2018 with global sales of more than 10 million units a year. “VW has made an intelligent move, as investors were asking how the company would run the increasing complexity in its global business,” said Max Warburton, senior analyst at Bernstein Research in London. Stefano Aversa, a managing partner at consultancy Alix Partners, said Browning, who was head of GM's global sales and marketing until last summer, knows how to deal with the challenges that a giant automaker faces. “Browning has a great experience in working in complex organizations and this will help him in the effort to achieve greater alignment in sales and product allocation across the different brands and national sales companies,” Aversa said. Browning set up an "excellent" financial controlling system while at GM Europe and the experience could help VW streamline the group's distribution costs, a former car company executive familiar with the matter told Automotive News Europe on condition of anonymity. Browning will bring to VW lessons learned at GM and Ford. Browning, a 50-year-old Englishman, was executive director of marketing at Ford of Europe and Jaguar managing director before becoming GM Europe's sales and marketing head in 2001until 2008 when he was promoted to GM's global sales and marketing chief. VW is phasing in a new sales and marketing structure over the coming months following Browning's June 1 appointment as its global head of the automaker's national sales companies. As part of the realignment, De Meo, 42, has been promoted to head of marketing for all VW group brands. 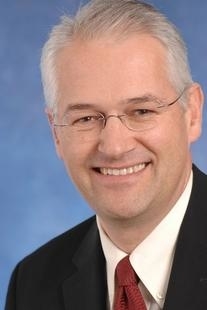 De Meo, who started with VW last August after leaving Fiat S.p.A., retains his position of executive director of marketing at VW passenger cars. De Meo tackled brand complexity at Fiat. 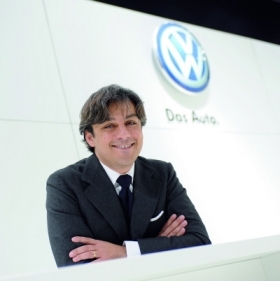 At Fiat, De Meo had a similar role to his new task at VW. As Fiat's chief marketing officer he worked to coordinate marketing efforts and share the best practices of the Italian industrial conglomerate's Fiat, Alfa Romeo, Lancia and Maserati brands with its Case New Holland division's four farm and construction equipment brands and Iveco heavy trucks and Irisbus bus operations. Said Alix Partners' Aversa: “De Meo has the critical mission to preserve or increase the differentiation in customer perception of each brand, as well as creating synergies in back-office operations, such as centralized media buying, a function he successfully implemented while at Fiat." VW is making aggressive efforts to boost sales in large markets such as the China, North America and Brazil including building new assembly factories in the United States and south China. Browning and De Meo report to VW group sales and marketing chief Christian Klingler, who said the restructuring makes his team better prepared for the future. “The continued shift in automobile markets toward new, fast-growing regions and constant expansion of the model range bring new opportunities for the sales, marketing and aftersales business,” Klingler said in a statement. Last year VW group sales grew 0.6 percent to 6.3 million units, while Toyota sales declined 13 percent to 7.81 million units, according to company data.